When it comes to getting gifts for the bride and groom, many people may feel lost in how much they should spend and when to get it. It’s understandable as getting gifts for most people can be difficult anyways. Should you gift money? Should you bring the gift to the wedding? There are all kinds of wedding gift etiquette that people are mostly unfamiliar with. We’ll outline some of the important guidelines for you here. Do I Have To Purchase From The Wedding Registry? It’s not necessary to purchase from the wedding registry for the bride and groom. It certainly will make your gift-giving process much easier, but you don’t have to. If you’re planning on getting something outside of the registry, try and use the gifts they’ve selected as a guide for what to purchase for them. Make sure you’re not getting something that’s already on the registry because chances are someone will purchase that item. If you’re purchasing a gift from the registry, common wedding gift etiquette would suggest giving the gift either three months before the wedding or three months after. Should I Bring The Gift To The Ceremony? With the advent of online shopping, it isn’t necessary to bring the gift to the ceremony. More than likely, if you’re purchasing from either the registry or somewhere online, you will have an address for the gift to be sent to. This will cut down on the need for the bride and groom to transport the gifts back to a safe location. However, if the norm in your culture is to bring the gifts to the ceremony, then, by all means, do that. Most couples will have a section at the wedding venue to house the gifts. What’s The Wedding Gift Etiquette On Gifting Money? Absolutely! Giving the gift of cash (or check) will no doubt be appreciated by the bride and groom. If you’re hesitant on purchasing from the registry then this is a great option. 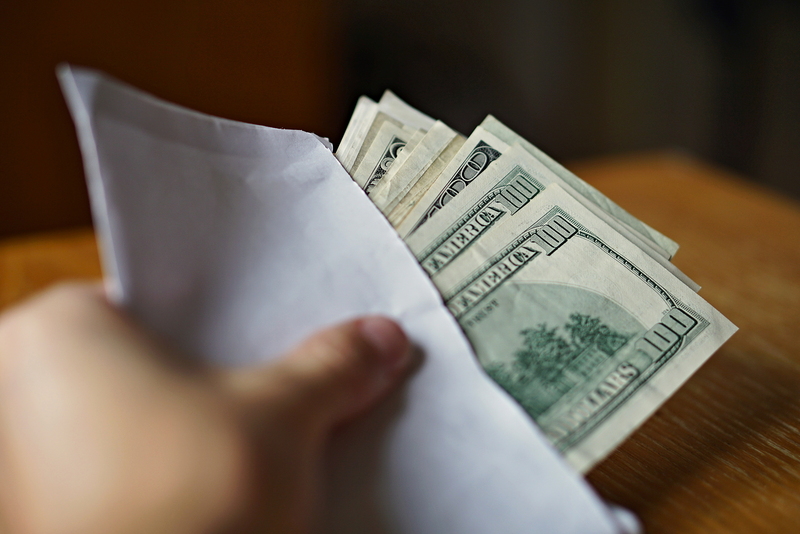 In fact, in some cultures gifting money is the standard instead of gifts. This way the couple can use the cash on some of their future expenses. Throwing a wedding is expensive after all! Gifting money is becoming more and more common, especially considering that couples are getting married at an older age. Couples may have less need for some of the common gifts that you see on wedding registries and cash is simply the better option. How Much Do Should I Spend? 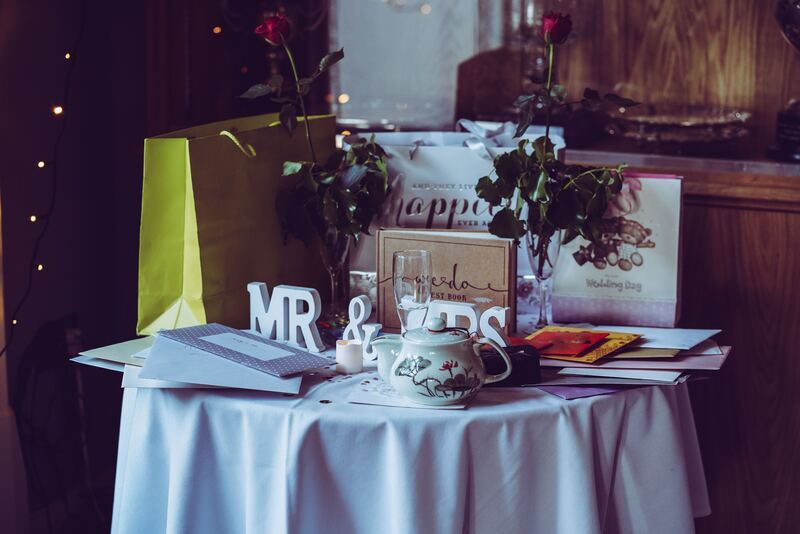 Here’s arguably the biggest and most asked question with regards to wedding gift etiquette. How much you give or spend is going to depend largely on two major factors: your financial situation and your relationship to the bride and groom. If you’re financially strapped, don’t feel bad about not being able to spend as much as you may have wanted. Instead, focus on giving a thoughtful gift that the bride and groom will truly appreciate your effort. If they’re really good people, they will understand your situation. Depending on your relationship with the bride and groom, you’re likely going to spend a little less or a little more. If you’re a co-worker you’re likely going to spend a little less. If you’re a close friend or close relative, you’re going to spend a little more. Putting any specific dollar amount on this would be silly. There is no hard-and-fast rule to point to. Forget the myth about spending as much as your plate costs. Can I Give A Group Gift? Generally, a family will send one gift as a group. This is the norm in almost all instances. Couples will also send a gift together. The understanding is that you will pool your resources to purchase a bigger gift than if you were to send a gift from just yourself. Friends pooling together to give a gift is also acceptable. In fact, pooling together to buy a big ticket gift might be more appreciated by the bride and groom as it would be something they’d have to spend a lot of money on. This might be something they wouldn’t consider buying for themselves and gifting them that item will be appreciated. Does A Plus-One Guest Have To Give A Gift? Generally, it would be expected that your plus-one guest would give a gift. It does not need to be a separate gift, but instead, you should factor them into the gift you’re giving. The bride and groom are spending extra money for your guest to be there so it would only be proper wedding gift etiquette to factor that in.